← Don’t make me make eye contact! 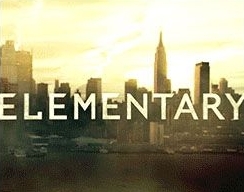 The most recent episode of Elementary, Hounded, was probably one of the best yet. When they teased the Hound of the Baskervilles connection I was looking forward to it, and they really did a good job of it. All of the little call outs to the book, using the original names, & the twist of a character being a secret Baskerville (no spoiler-it was published in 1902) were there. And having the hound be DARPA’s BigDog was the 21st century cherry on the sundae. But the scene with Sherlock and Eugene, was absolutely perfect. The fact that Sherlock is comfortable enough with his addiction to use it to spot the same problem in others, and that he can overcome his social awkwardness to urge Eugene to get help, shows how much the character has grown since the start of the show. When he called him ‘mate’ it was extra touching, since he rarely lapses into the vernacular. This entry was posted in TV and tagged Elementary, Jonny Lee Miller, Sherlock Holmes, TV. Bookmark the permalink.